A true 'Dog-leg' par five, with out of bounds on the right and left. 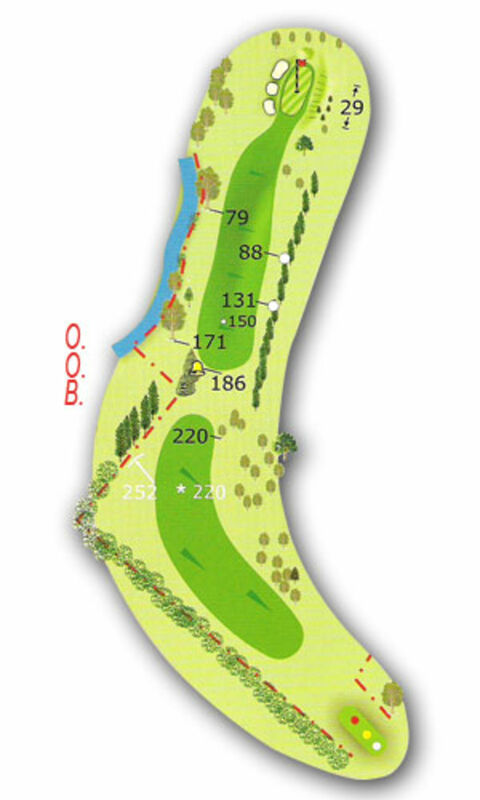 The tee-shot needs to be aimed straight down the sloping fairway towards the river leaving a long second shot down the left half of the fairway, followed by a short iron to a deceptively long green. 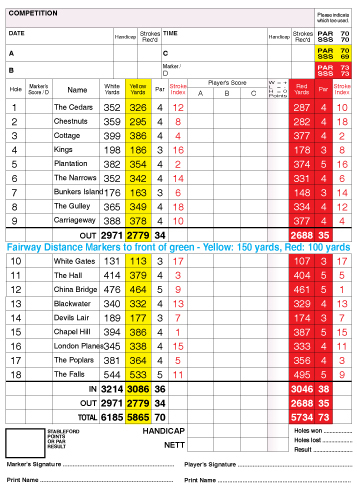 Tee shot club selection - long iron or fairway wood.